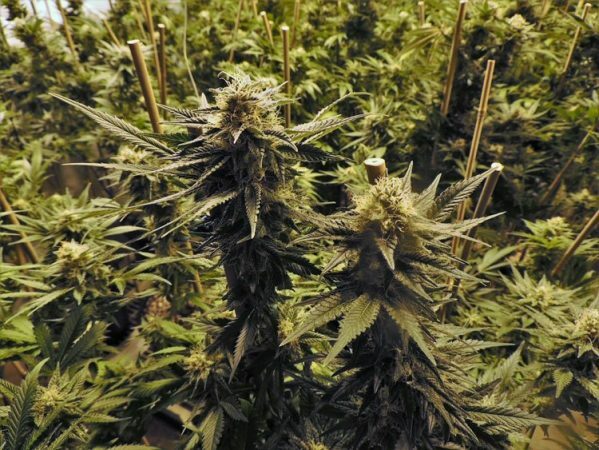 A grow tent is your best option if you want to grow your own crops and flowers but do not have the outdoor space for a vegetable garden or some flower beds. 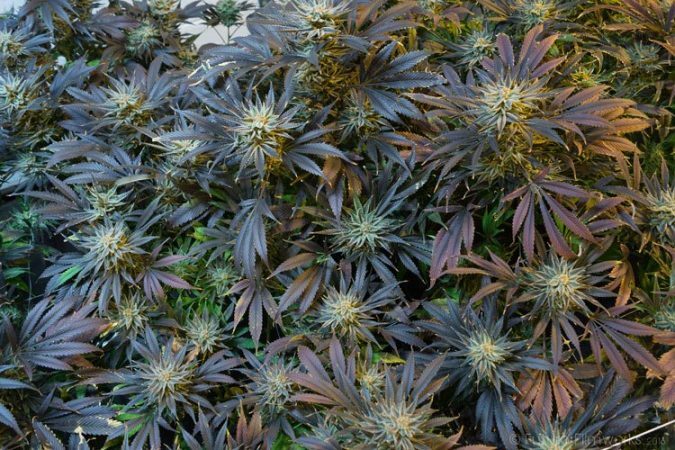 The best 2x4 grow tent offers the advantage of being able to have full control of the growing environment of your plants for maximum yield. Single piece tent fabric which easily slides on the tent frame. Solid metal frame with durable corner connectors. Includes rods for fan, filter and grow light. Zippered opening/s for entry, ventilation and viewing. 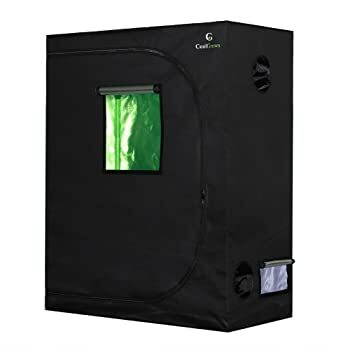 Gorilla Grow Tent Shorty 2' x 4' x 4' 11"
The Quictent 48"x24"x72" Reflective Mylar Hydroponic Grow Tent is just the most ideal size to grow small herbs, vegetables or flowers. It comes with a strong and solid construction. The tent fabric is made 600D double stitched and tear resistant Oxford material. 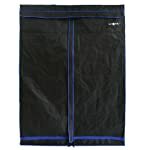 It features a PET Mylar lining that is 100% reflective to completely block light from leaking out of the tent. This grow tent includes a strong and durable metal zipper that will last for years of continuous use. 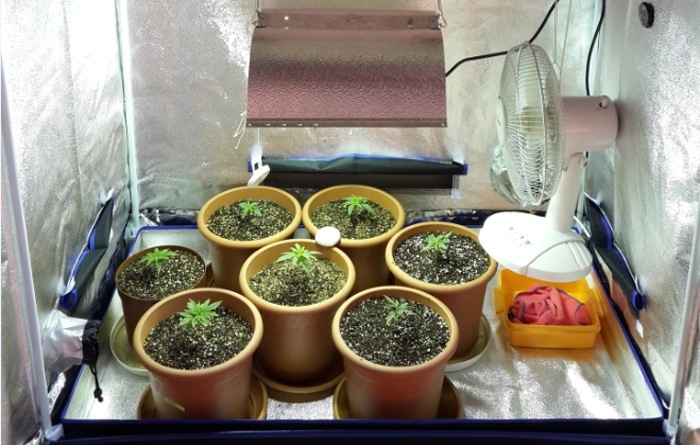 It also features an easy view window so you do not need to open the grow tent to check on your plants. Includes ceiling straps to support ductwork. Some users say the corner is prone to light leakage. 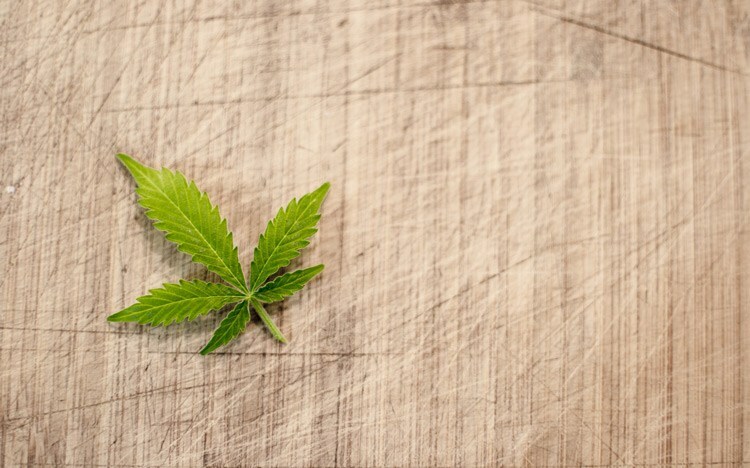 This grow tent comes with a floor tray for easy cleaning. It also has two ventilation socks, a mesh window and a tool bag. This Quictent has a certification for passing the SGS testing for safe use with non-toxic materials. The Quictent 48"x24"x72" Reflective Mylar Hydroponic Grow Tent is ideal if you are just starting to grow a hydroponic garden. 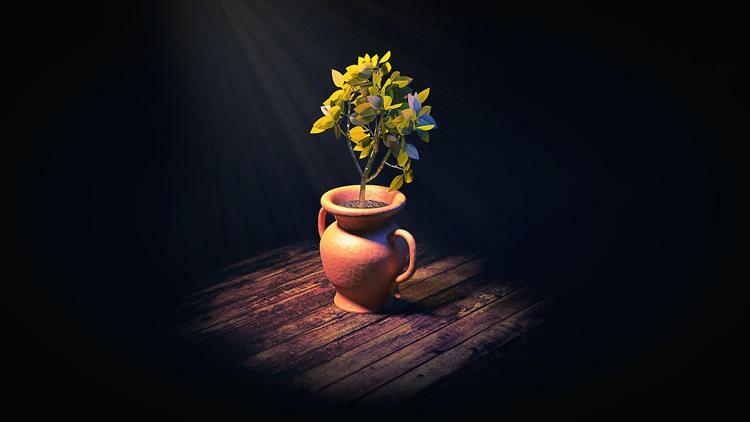 It will allow you to grow your plants with confidence. 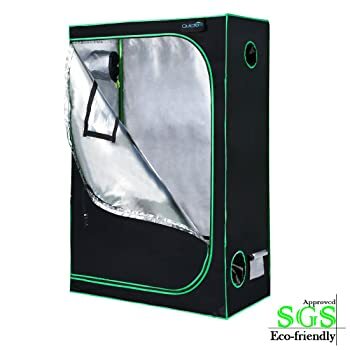 The fabric of the CoolGrows 48"x24"x60" Grow Tent is made from Oxford material on the outside and lining made from light proof Mylar material which reflects grow lights up to 97% your plants. The Mylar lining is also tear-proof. The fabric ensures no light leakage. This grow tent comes with top quality metal zippers, dual ventilation socks. Easy view window helps you keep track of the daily growth of your plants without having to open the tent. The sturdy metal frame poles keep the tent firmly on the ground. It is equipped with a removable floor tray to keep the tent clean and two hanging nylon straps for grow lights and other equipment. It is surrounded with 7 ports for more flexibility in use. 4 vents on each side provide air flow. The CoolGrows 48"x24"x60" Grow Tent is easy to assemble. It comes with a removable extra layer on the floor for easy cleaning. 3. Gorilla Grow Tent Shorty 2' x 4' x 4' 11"
This Gorilla Grow Tent is 4’' 11” but can be adjusted to be 5’8” with the 9” extension pole adjustment kit (patent pending). This tent features a 1680D (up to 9 times more dense than commonly used fabrics for grow tents) durable fabric that is easy and quick to wrap around the 100% interlocking and sturdy metal frame and connector. It also features a Diamond Reflective interior to ensure lights go directly to the plants. This grow tent comes with one door, easy view windows, and easy to engage zippers. It also comes with an infrared roof insertion to block the leakage of light. The interior of the tent is well insulated and odor resistant so the gardener can comfortably walk through his plants. It also comes with a durable spill tray for easy cleaning of the tent. It also comes with a tool touch for easy organization. This tent is also equipped with micro mesh pre-fibers to keep bugs away. The Gorilla Grow Tent Shorty 2' x 4' x 4' 11” comes with good soundproofing and odor containing features. It also limits the entry of microorganisms and light from entering the tent as well as the escape of water creating an ideal contained growing environment. The Hydroplanet 48x24x60 Mylar Hydroponic Grow Tent is equipped with a super thick and washable 600D canvas material with a Mylar lining that is 100% light reflective to allow all light to get directly to the plants. 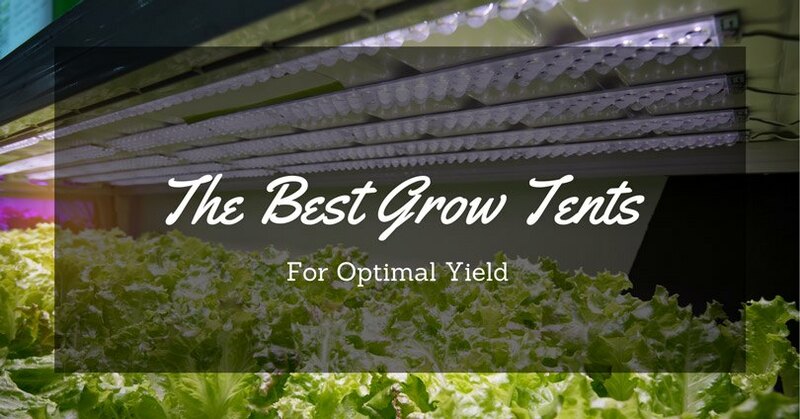 This increases the yield of your plants while not consuming too much electricity because light and heat are well controlled inside the tent. This tent features a heavy duty frame and poles to keep the tent stable and steady. Poles are sturdy enough to withstand the weight of equipment you need to hang such as grow lights and fans. This tent is completely tear-proof inside and washable inside and out. 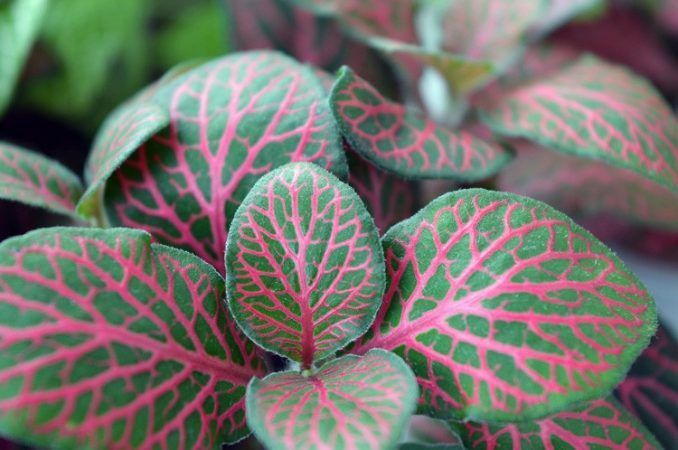 It provides fresh and healthy air to allow your plants to grow healthy and strong. 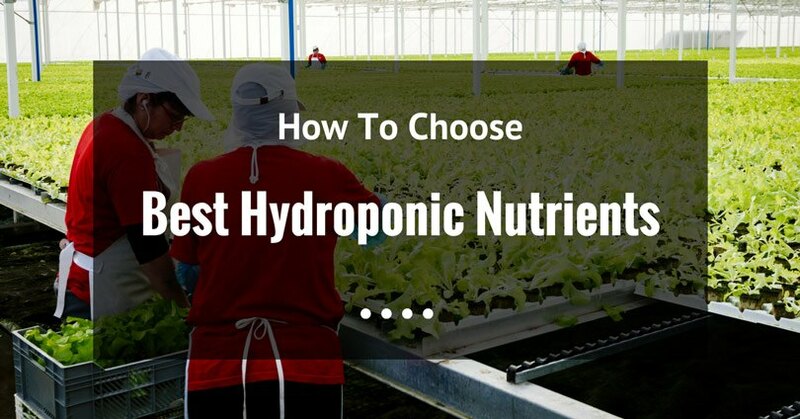 The Hydroplanet 48x24x60 Mylar Hydroponic Grow Tent is easy to assemble. You can almost immediately start planting as soon as you unbox the tent. It is ideal for cultivating, herbs, fruits and vegetables. The VIVOSUN 48"x24"x60" Mylar Hydroponic Grow Tent is made from 600D tear proof canvas material with double stitching for strength and to prevent light leakage. It offers a 98% reflectivity to boost the power of the grow lights to keep the temperature for your plants to grow well. The strong and durable zippers along with the tear proof fabric and lining completely seal the tent to keep all light inside. The tent is supported by sturdy metal poles. 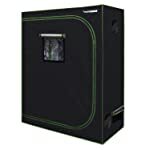 The VIVOSUN 48"x24"x60" Mylar Hydroponic Grow Tent includes an observation window so you can check on your plants without disturbing the humidity and temperature inside the tent. It also comes with a floor tray for easy cleaning of the tent. It is easy to assemble as well. 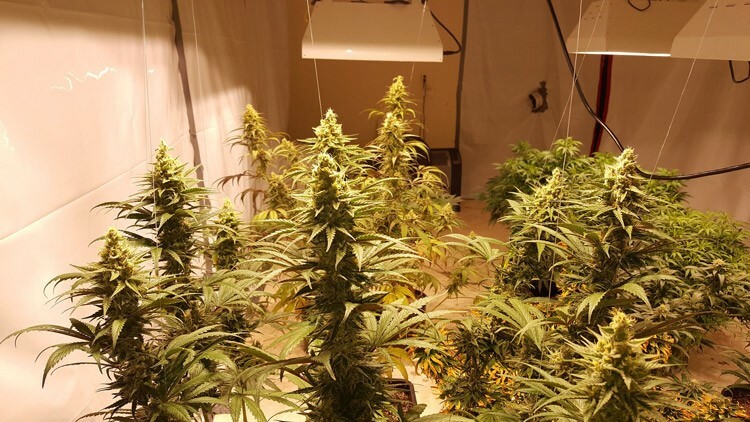 Grow tents make life easier and enjoyable for indoor gardeners. 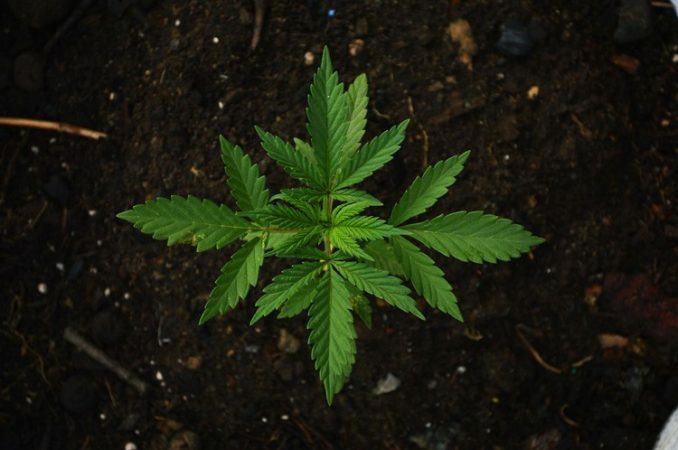 They are able to provide you with all the requirements your plants need to grow well. They are likewise safe to use. Of the five grow tents reviewed, the best 2 x 4 grow tent is definitely the VIVOSUN 48"x24"x60" Mylar Hydroponic Grow Tent. 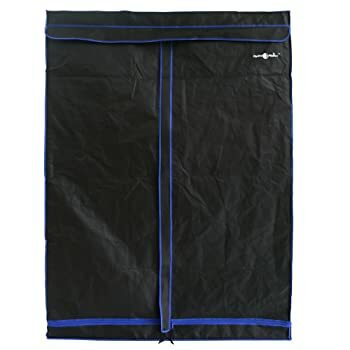 It comes with a highly durable and tear-proof canvas material and Mylar lining that keeps almost all of the light inside the tent to ensure the proper growth of plants.